Pull starts at 7pm EDT. First 500 people will get a $10 Free Play card for Belterra Casino! Come on out early and enjoy the activities with the F.A.R.M. Club of Southeastern Indiana, including the Antique Tractor Show, steam engines, working blacksmiths, corn shredding, tractor games, and flea market! http://www.farmclubonline.com/ . For series info, rules, press releases, and more, check out our website! I am planning to go. Do you know how much it is to get in to the show? 6.7L Cummins, deletes in place, mild tuning, wishing for the money for upgrades. Very good show this weekend. 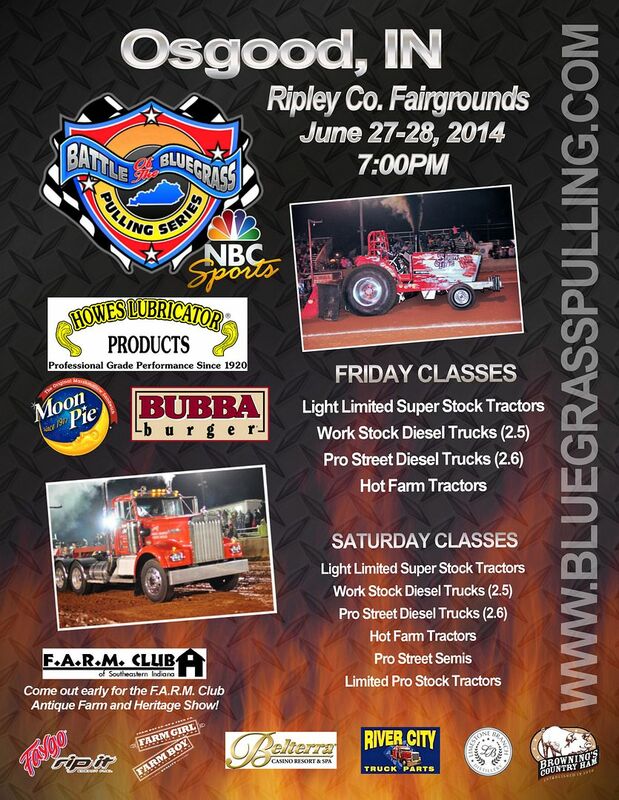 I went both nights and enjoyed watching the different pulling classes. Congrats to Josh Land for his win in the 2.6 class. He had a great run.